Kawira of Papa Shirandula- Biography, Age, Family, Husband, Real Names, Marriage, Wedding, Photos. 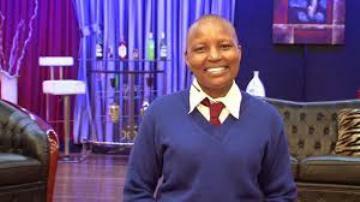 Joy Karambu, popularly known by her stage name as Kawira of Papa Shirandula, plays the role of a naive high school girl from Meru in a local television show that airs on Citizen Television every Thursday. Joy Karambu was raised in Timau Meru, and is the last born in a family of three girls. She was raised by her mother as her father passed on when she was four years old. Joy Karambu attended Timau Primary School and Angelic Girls Secondary School in Meru. After completing high school, Joy Karambu did several acting auditions at the Kenya National Theatre which were unsuccessful. At the same time, she was also working as a volunteer at Muga FM doing radio drama. One day she approached the producer of “Papa Shirandula” and shared with him her abilities and desires. The producer promised that he would look into it, and after a year of patience he got back to her and gave her a role in the show where she started appearing in the show in the year 2009. 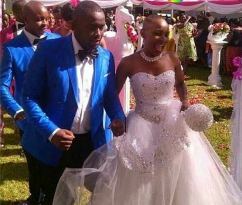 Joy Karambu is married to Ephantus Wahome who is a pastor, motivational speaker and gospel artiste. Their wedding was held in November 2014. Joy Karambu- Kawira of Papa Shirandula, Biography, Family, Husband, Wedding, Photos. Papa Shirandula- Biography, Age, Wife, Children, Married, Charles Bukeko. Wafirethi of Papa Shirandula- Biography, Age, Family, Children, Photos. Awinja of Papa Shirandula- Biography, Real Names, Family, Career, Photos.